Hold and dispense your favorite liquors from the Final Touch bar caddy dispenser. Constructed from a sturdy aluminum with a sturdy base, it holds up to four different bottles with up to one liter each. Push and pour perfect 1.5 ounce shots from the leak-proof spring-loaded dispenser, and simply wipe clean to keep the chrome finish looking great. 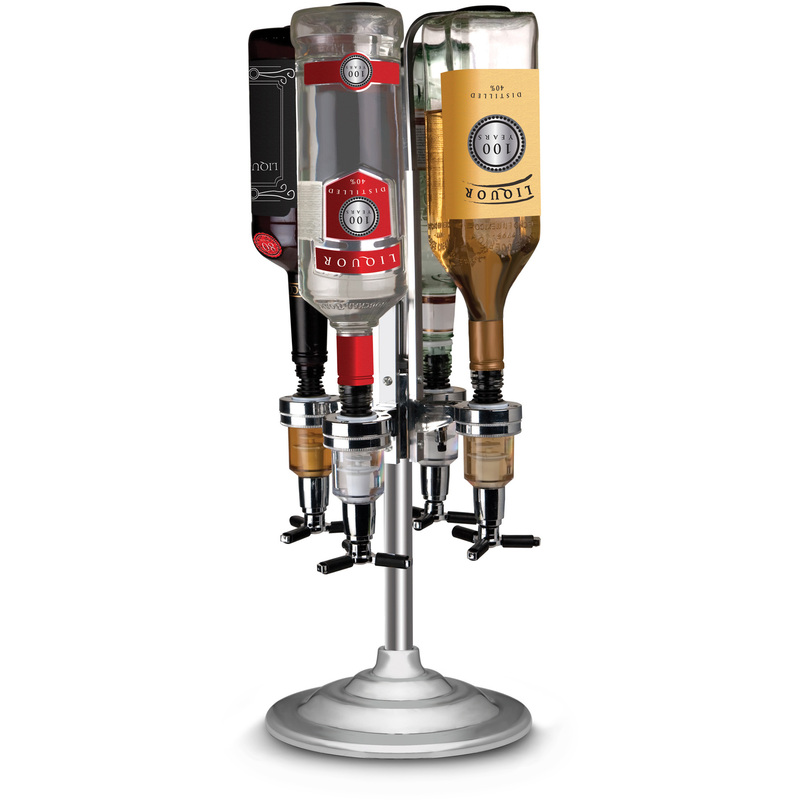 Great for home use, as well as in bars and restaurants, this liquor dispenser is a fun and stylish way to keep the drinks coming.